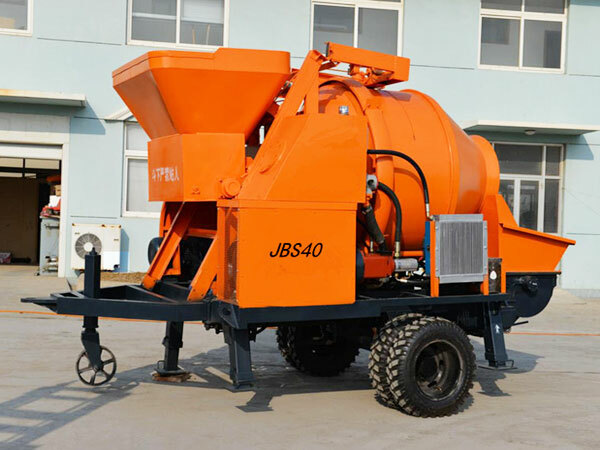 Mobile concrete mixer with pump is a kind of modern construction machinery for concrete mixing and pumping. It is known for its convenient movement. 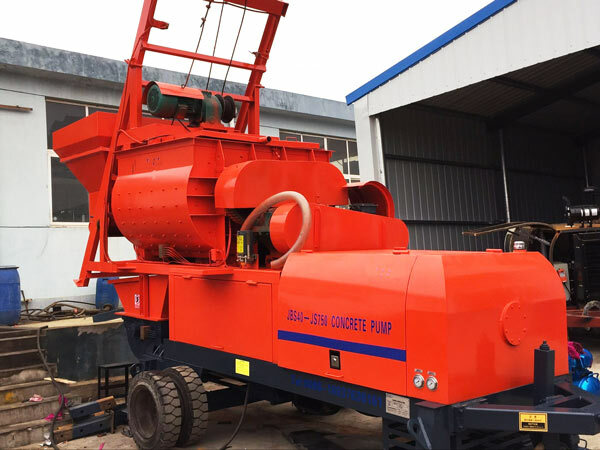 In comparison with mobile concrete pump, mixer pump is more advanced. For the one hand, it has more functions. For the other hand, it has more wide applications. Thus, it is more popular. When it works, concrete get into the mixing system first, and go through the pumping system, later they are sent to the destination with the help of delivery pipes. 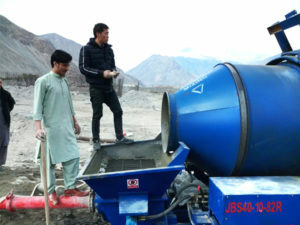 Mobile concrete mixer pump usually includes diesel type and electric type. As you can see, our company can provide you with three types of pumps based on different output: JBS30 series and JBS40 series. And each series contain diesel type and electric type. This series has a maximum theoretical concrete output of 30 m3/h. The diesel type of JBS30 series is JBS30-10-62R. And the electric type of JBS30 series is JBS30-10-37. The maximum theoretical concrete output of JBS40 series is 40m3/h. Its diesel type is JBS40-10-82R. While, electric type is JBS40-10-45, JBS40-JS500 and JBS40-JS750. It is usually known for its moving convenience. 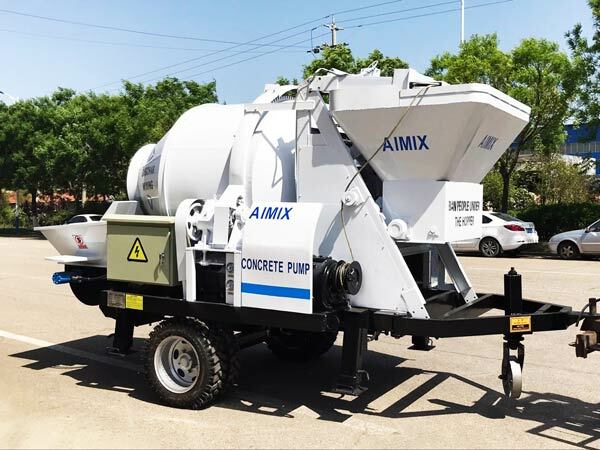 It is universally acknowledged that concrete mixer pump is the combination of mixer and pump, thus it usually has a larger total weight. In order to make it move easier, our company try to use high-quality intentional wear-resistant components to reduce weight. 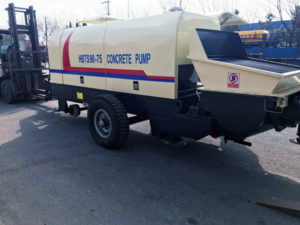 What’s more, our mixer pumps belong to trailer mounted concrete pumps. When it’s time to change the construction site, you can move it conveniently under the influence of a motor tractor. 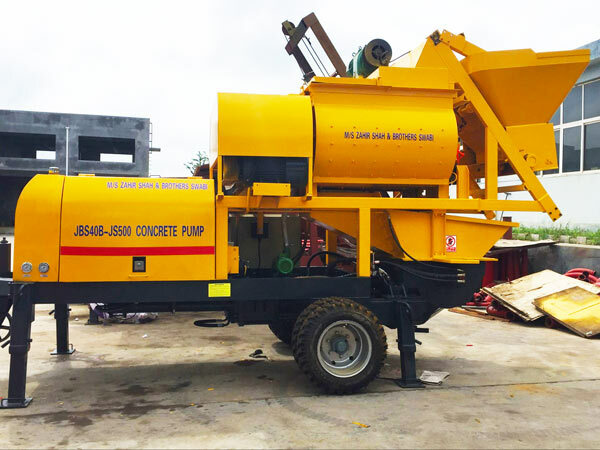 Compared with stationary concrete pump, it can largely save time. 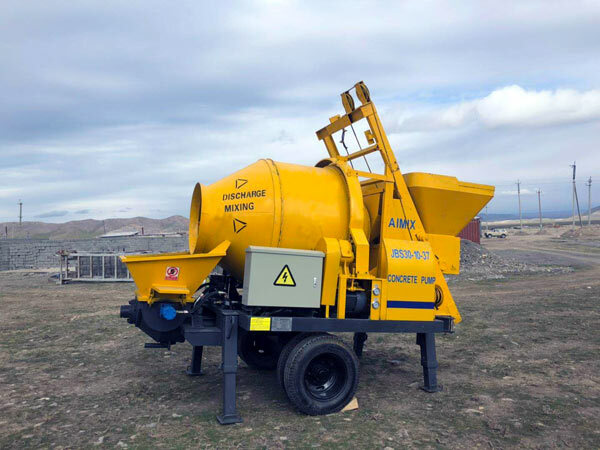 In addition, as one excellent mobile concrete mixer with pump suppliers, we have gone through technological innovation and made each system more effective, such as hydraulic system, electric control system, mechanical system, lubrication system and cooling system. For example, we adopt double open hydraulic loops with two pumps, high-low pressure switch, wire remote equipment, etc. Last but not least, we can offer you a reasonable concrete pump machine price. Price is the key factor which can decide whether to buy it. Many customers choose us because of its attractive price and perfect performance. Up to now, our mobile pumps have been exported to more than 30 countries, such as Nigeria, Uzbekistan, Pakistan,Philippines, Russia, Vietnam, Indonesia etc. After you purchasing our mixer pump, there are five construction details that you should mention. 1. Before working, make sure that there is no obstacle high voltage line within the action range of pipelines. 2. The laying line of horizontal pumping pipes should be close to a straight line, which has less bending. Make sure that conveying pipes and clamps are firm and reliable, thus they can withstand the horizontal thrust generated by the transmission process. 3. Do not connect the vertical pipe to the output port of the mixing pump directly. Instead, you should at first install a horizontal tube with a length of over 10 centimeters in the front end of vertical pipe. 4. It is necessary to monitor various instruments and indicators at any time. Therefore, you can adjust abnormal situation in a timely manner. 5. The pumping process should be a continuous operation. Provided that you must stop for a while, it will be better to run it every five to ten minutes. If the stopping time is too long, the machine should pump one or two strokes reversely at first, and then pump forward. The hopper should always maintain a certain amount of concrete in the course of pumping, and it shall not be empty in work. You can view more construction details from working video of our mobile concrete pump. 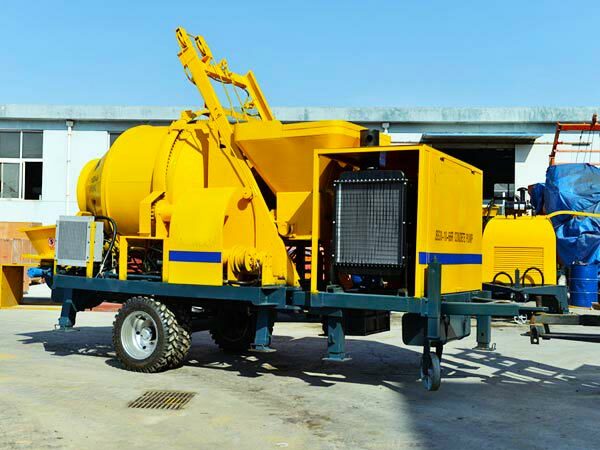 If you want to know more about mobile concrete pump for sale, please let us know. And you will be replied within 24 hours.